Ethel Irene (Stanley) Anderson, surrounded by family on November 19, 2018. She was born in Akron on September 17, 1933 to the late Charles and Iva (Wicks) Ribbeck. Ethel attended the local Sandhill School. Along with taking care of a family, Ethel worked several jobs and retired from Harrison Radiator. 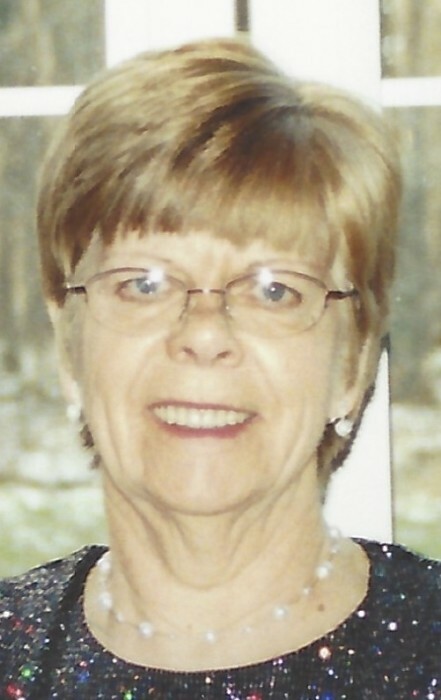 She was a lifelong member of Fellowship Baptist Church. Ethel enjoyed knitting, crocheting, and had a passion for shopping. She enjoyed taking automobile rides with Alan, especially on Sunday. She is survived by her beloved husband of over 63 years, Alan Anderson. Loving mother of Edward (Karen) Stanley, Irene (Robert) Moore, James Anderson, David (Nicole) Anderson, Joyce (Tim) Goodrige, Mary (Robert) Fromwiller. A brother Carl Ribbeck; two sisters, Audrey Sherman and Emily Kelkenberg; 20 grandchildren; 27 great-grandchildren; 3 great-great- grandchildren and many nieces and nephews also survive her. A husband, Percy “Bud” Stanley; a son, Robert Anderson; a daughter, Robin Dennis; two grandsons, Charles Stanley and Todd Moore; a brother, Vernon Ribbeck; two sisters, Grace Alexander, and Joanie Brown predecease Ethel. Friends and relatives may call from 2 to 4 and 7 to 9 p.m. on Friday, November 23, 2018 at Ross Funeral Home of Akron, LLC, 10 Eckerson Avenue. A Funeral Service will take place at 11 a.m. at the Fellowship Baptist Church, 11501 Rapids Road on Saturday.